Dahlonega, GA - On Tuesday, September 20, 2017, the Lumpkin County Sheriff’s Office, Appalachian Regional Drug Enforcement Office and FBI Agents executed additional search warrants in Dahlonega, Georgia at 289 Iberian Road and 126 Antique Way based on the analysis of the evidence seized Friday. Agents discovered that the residence on Iberian Road had been destroyed by fire. The State Fire Marshal’s Office is investigating this suspicious fire as an arson. Agents located a second conversion lab at Antique Way. The lab components found at Antique Way were consistent with the lab found in Suches, GA last week. The exception is Agents located seven empty 55 gallon drums, three of which tested positive for methamphetamine. Agents also located two AR-15 rifles, a pistol grip shotgun and a handgun. It is fair to say that this North Georgia Law Enforcement Team has dismantled a criminal organization that at a minimum has produced and distributed 385 gallons of methamphetamine onto the streets of our communities. Conservatively, this equates to hundreds of kilograms of crystal methamphetamine. The street value of this amount of methamphetamine is in the millions. Both of these properties were linked to Clara Catarino Mendoza, 32. Mendoza is a Hispanic female, 5’1” tall and weighs 125 pounds. Agents believed that Mendoza has fled with her 2 juvenile children. Mendoza is a fugitive from justice. Arrest warrants have been issued on Mendoza for conspiracy to manufacture methamphetamine and conspiracy to traffic methamphetamine. Mendoza may be driving either a 2006 yellow H2 hummer, Georgia tag PYX 5020, a 2003 gray Ford Superduty Truck, Georgia tag PKM 9409 or a White BMW 4 door sedan (exact model and tag unknown). 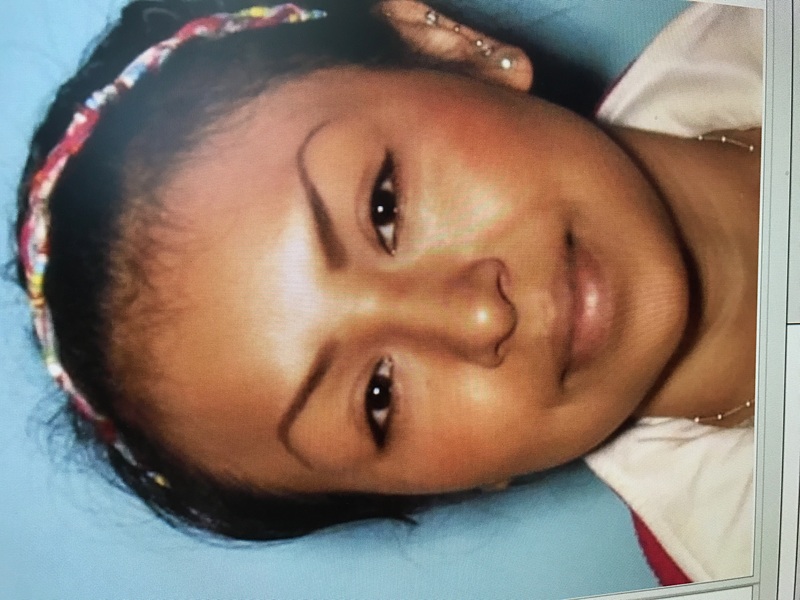 If anybody sees Mendoza or has any information on her please call the Lumpkin County Sheriff’s Office at 706-864-3633, the GBI at 1-800-597-8477, the FBI at 1-800-225-5324 or your local police department or sheriff’s office. Dahlonega, GA - On Friday, September 15th, 2017, the Lumpkin County Sheriff’s Office, the Appalachian Regional Drug Enforcement Office and the FBI’s North Georgia Major Offender Squad disrupted a methamphetamine trafficking ring in North Georgia. A traffic stop of Angel Luis Rivera- Santiago and Victor Rafael Aponte yielded the seizure of 15 kilograms of methamphetamine. During the subsequent investigation, Lumpkin County authorities and FBI Agents executed a search warrant at 990 Flanders Road, Dahlonega, GA. Valentine Duarte-Vejar ran from this residence but was capture in the possession of a handgun. This search warrant yielded a few grams of cocaine and $166,000. Agents continued to follow investigative leads until a conversion lab was located at 843 Cooper Creek Road, Suches, GA.
A conversion lab is used to convert liquid methamphetamine to its crystal form. Agents located a handgun and 15 kilograms of crystal methamphetamine at the lab. ARDEO Agents processed approximately 300 pounds of environmental waste largely containing methamphetamine oil. Agents on scene estimated this lab was capable of producing a minimum of 25-50 kilograms of crystal methamphetamine at a time. The Union County Sheriff’s Office, EMS, and Fire Department assisted with safely processing this conversion lab. This short but effective investigation was a federal, state, and local partnership that disrupted and dismantled a drug distribution network’s attempt to flood our communities with this destructive drug for their own financial gain. The street value of the 30 kilograms of crystal methamphetamine is $3,234,000. Angel Luis Rivera- Santiago, 42, of Norcross, Victor Rafael Aponte, 30, of Dahlonega and Valentine Duarte-Vejar, 25, of Dahlonega were charged with trafficking methamphetamine. Eleoncio Perez-Pineda, 29, of Dahlonega, and Jose Mario Duarte-Vejar, 25, of Dahlonega were later arrested in Dahlonega and charged with conspiracy to manufactory methamphetamine. These five men were transported to the Lumpkin County Detention Center. The immigration status of these men is still pending. Additional charges are pending in Union County. This investigation continues. The Appalachian Regional Drug Enforcement Office is a multi-agency unit that consists of the following Sheriff’s Offices: White County, Lumpkin County, Towns County, Banks County, Habersham County, Stephens County, Rabun County and Franklin County, along with the Cleveland Police Department, Lavonia Police Department, the Georgia National Guard Counter Drug Task Force, the Department of Public Safety,, and the Georgia Bureau of Investigation.